Weekends for me are usually jam-packed with visiting friends and family, or heading to weddings and christenings! However, when I have a rare weekend of doing nothing I like to indulge myself with an extra-long snooze, cuddles in bed and copious amounts of tea, I also like to cook up something a little more special for brunch. Brunch has become more popular over the years, with many cafes and restaurants offering their own menus, but if you’re like me and don’t want to take off the pjs then you can create your own brunch at home – plus it’s a great way to save pennies! I’ve put together a list of 10 easy brunch ideas that are perfect for weekends – with a few recipes from myself as well as some other foodie bloggers. What would be on your brunch menu? 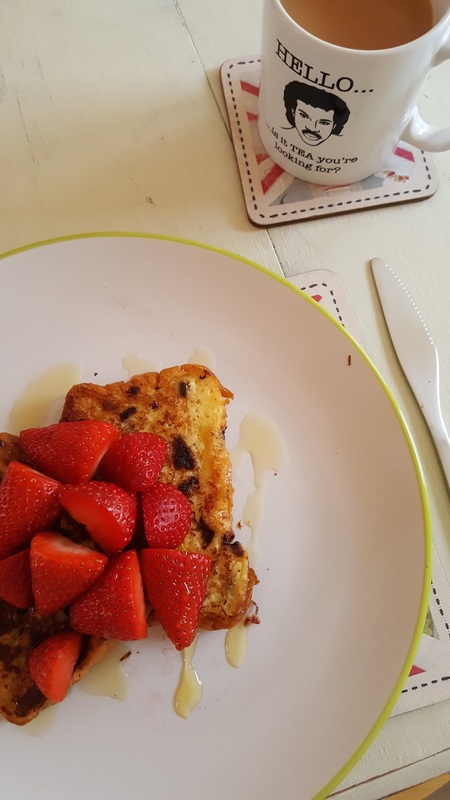 Brioche French Toast with Strawberries is such a quick brunch recipe that is so easy to whip up. I keep a loaf of chocolate chip brioche in the freezer for emergency puddings and brunch cravings, but this could easily be made with plain brioche and add chocolate chips at the end - or not at all! All you need to do is beat together the eggs and the milk and place in a wide bowl, soak the bread in the mixture. Heat the butter in a large frying pan and when hot place the slices of bread (you may need to do this in turns), fry for 2-3 minutes each side until golden. Top the fried bread with sliced strawberries and drizzle with honey. Brummie Bacon Cakes are something that living in Birmingham you don't see too often and I'm not sure why! I actually found the recipe whilst looking through recipe magazines and thought they sounded interesting so gave them a go. They were so delicious covered in butter, slightly warm from the oven with a nice cuppa. 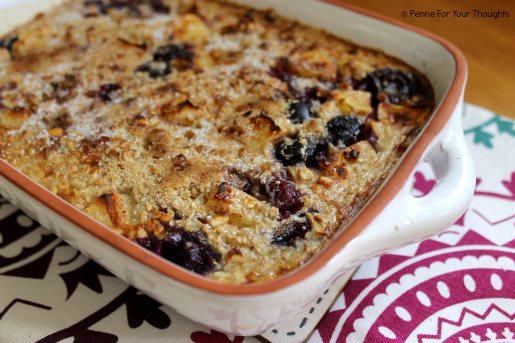 Apple & Blueberry Baked Porridge is a great brunch for a cold winters morning. Throwing all the ingredients in a pot and then baking it in the oven means a winner for those super lazy weekends. Healthy Sweet Potato Pancakes by Munchies and Munchkins sound like a great way to wake up on a weekend! If you're looking for a brunch with a twist then this recipe is for you. 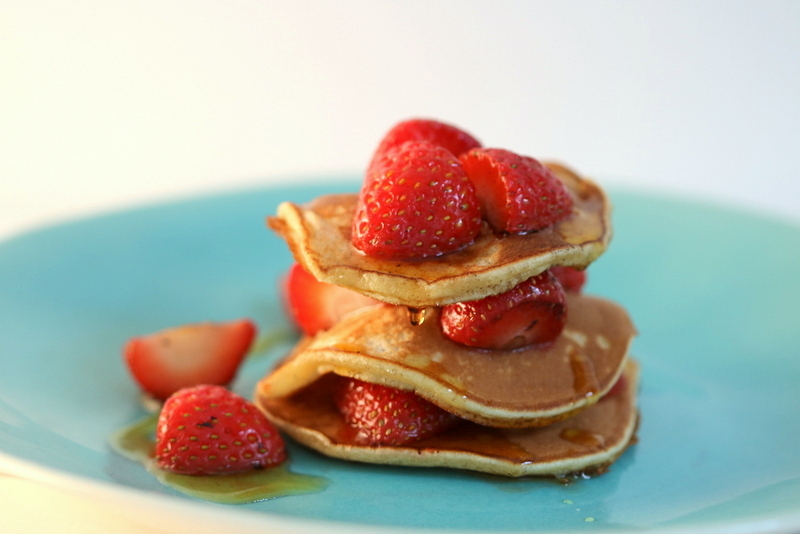 Sweet Vanilla Drop Scones from Lovely Appetite just look absolutely divine! Drop scones are something more commonly eaten in America, but these sound like the perfect weekend brunch to impress guests. 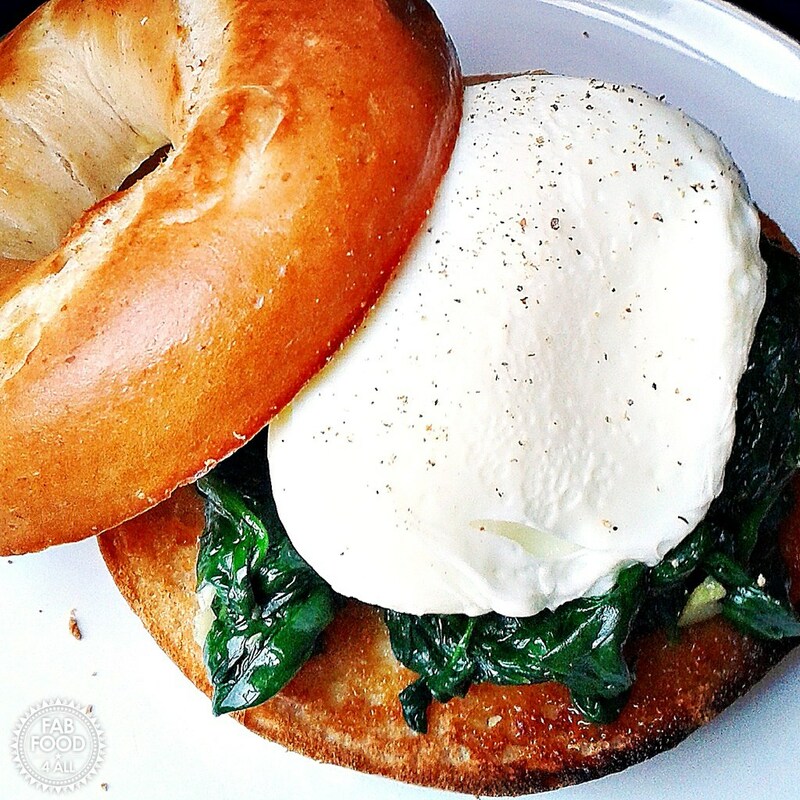 This Poached Egg & Spinach Bagel from Fab Food 4 All couldn't get more tasty. 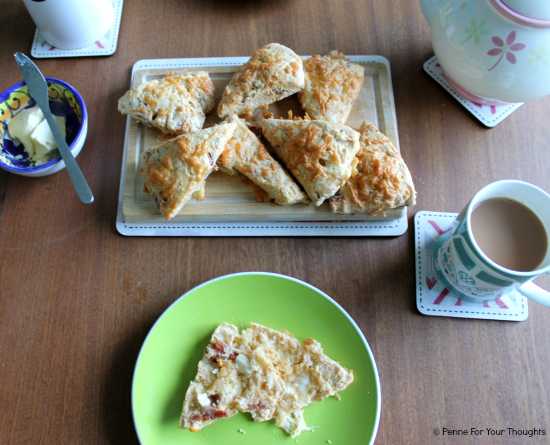 If time isn't on your hands then this quick brunch recipe is ideal for you! 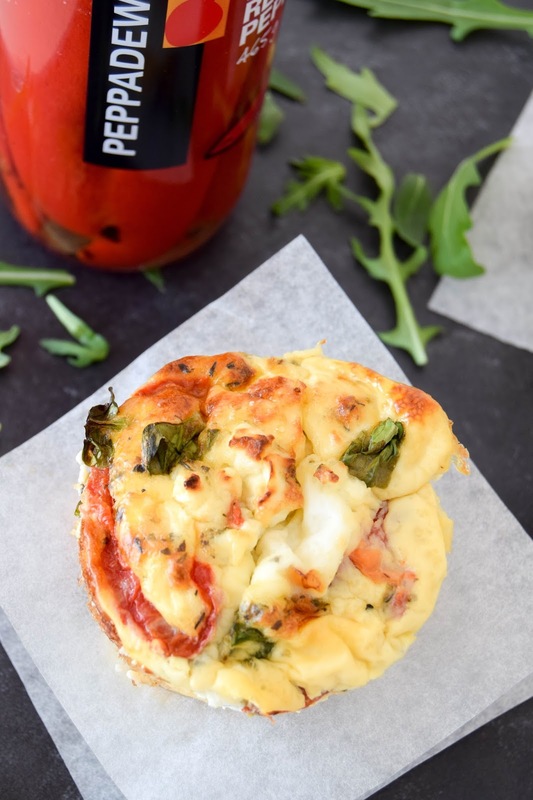 Roasted Red Pepper, Spinach & Feta Egg Muffins from Celery and Cupcakes are great if you're looking for something a little different for your weekend brunch. These savoury muffins can be made in under 30 minutes and are great to use up leftovers in the fridge! 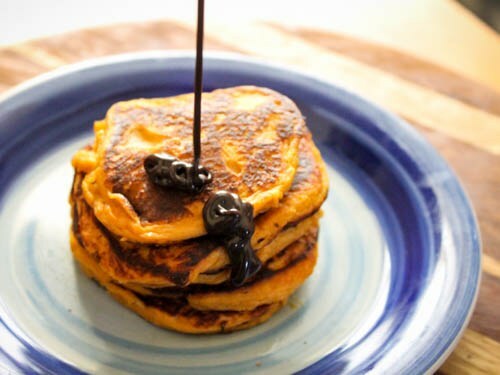 Oven Baked Pancakes with Blueberry Compote from Supper in the Suburbs sound super interesting and definitely one to try if you like experimenting. 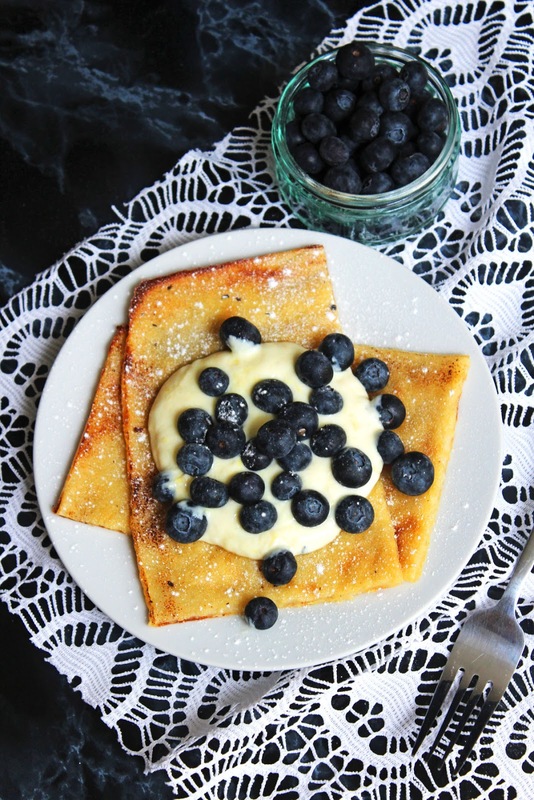 I've never heard of oven baked pancakes but now that I have, I know what I'll be cooking up next time I fancy brunch. Blueberry Lemon Waffles from Celery and Cupcakes are a great way to make that cafe favourite brunch item at home, and are super easy (if you've got a waffle maker!). 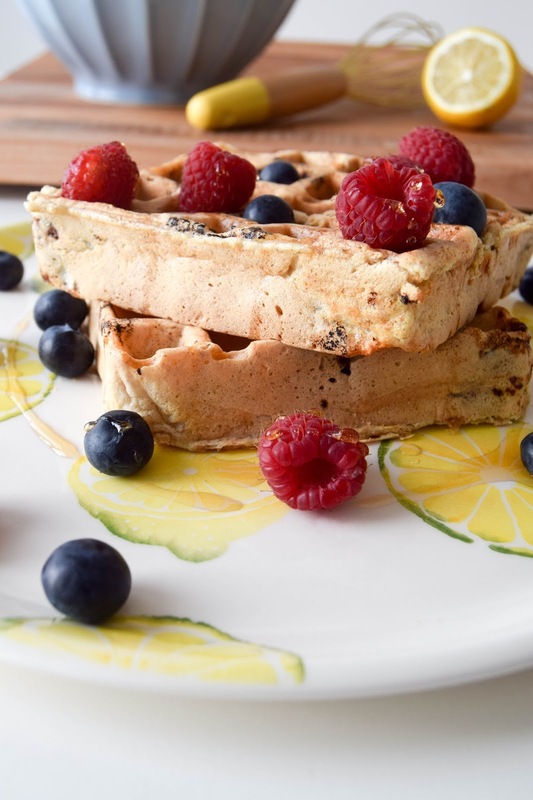 These waffles use wholemeal flour and almond milk. 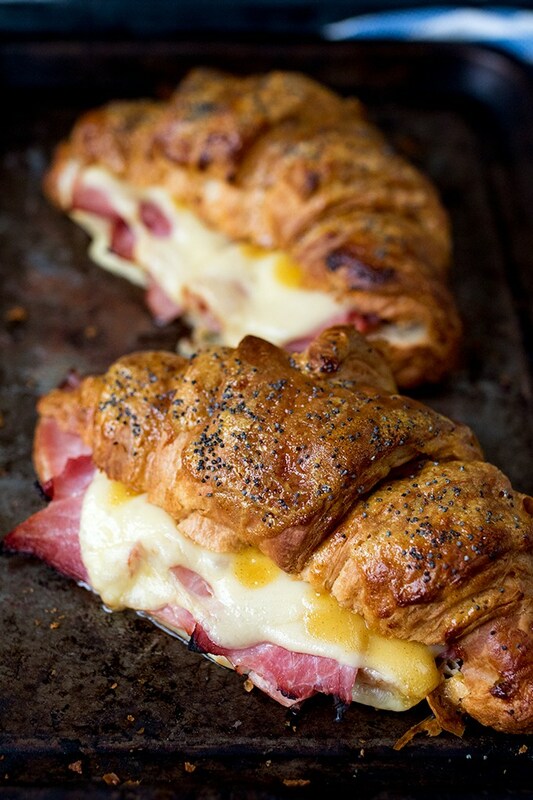 If you prefer savoury to sweet then why not give these Ham & Cheese Croissants from Kitchen Sanctuary a go? These are extra indulgent as they have a honey and mustard glaze - yum!